Democrat Debbie Dingell will serve a third term in the U.S. House of Representatives after scoring an easy win the 12thDistrict race. Dingell defeated Republican Jeff Jones by a wide margin, including 80.41 percent of the vote in Washtenaw County. 3rd party candidates collectively earned 2.31 percent of the Washtenaw County vote. 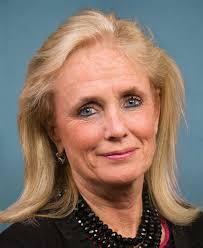 Dingell first won the office in the 2010 election and took over the seat long held by her husband, John Dingell. Incumbent Republican Tim Walberg, once again, overcame a challenge from democrat Gretchen Driskell to win another term in the U.S House. Walberg defeated Driskell in the 2016 election for the same seat. In that election, Walberg tallied 55-percent of the vote to Driskell’s 40-percent. This time around with 67% of precincts reporting, he picked up 54-percent of the district vote to the former Mayor of Saline’s 46-percent In Washtenaw County, Driskell fared better with voters, but it was not enough. This will be Walberg’s fifth term as 7th District Representative. Debbie Stabenow will serve a fourth term in the U.S. Senate. The democrat fended off a challenge from Republican businessman and military veteran John James in Tuesday’s elections. Stabenow won with 52 percent, including taking 71 percent of the vote in Washtenaw County. 3rdparty candidates collectively earned 1.52 percent of the Washtenaw County vote. Stabenow was first elected to the Senate in 2000. With Tuesday’s win she will serve through 2024.